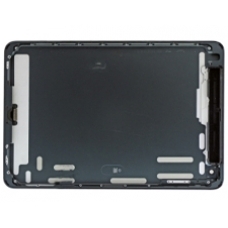 Original black slate Apple iPad Mini WiFi and 4G metal rear panel back cover case assembly, this includes the black apple logo. If you have damaged your rear case in any way, or just feel like a new one, this is the ideal part for you! * Apple Part Number: 604-3156. * Slate Black WiFi 4G Rear.